There were only four games in the NBA on Thursday night but there were plenty of points and action. The Bulls won at home, defeating the Knicks by a score of 103-97 while the Bucks squeezed a narrow win on the road in Sacramento, defeating the Kings by a score of 107-108. The Rockets lost at home to the Pelicans, the team from New Orleans grabbing a 90-99 win and the Warriors grabbed a 114-109 win against the Thunder. The Hornets are currently 6-19 with a 1-10 record away from Charlotte but they are facing the 76ers, a team with a 2-22 record and a 0-13 record at home. There is maybe an argument that both teams will manage to lose this game but of course, that isn’t possible! Both teams come into this game on a losing streak of four, which means that both teams also hold a 1-4 record in their last 5 games. There isn’t a lot to separate these teams, so it could be a competitive match, even if quality is thin on the ground. While Charlotte led for most of the game against the Suns on Wednesday, being outscored in the fourth quarter led to a 106-11 loss. Al Jefferson was a shining light with 28 points and 10 rebounds, while Kemba Walker provided 27 points and 7 assists. The 76ers had similar problems last Saturday, letting an 18 point lead slip before eventually losing 115-120 against Memphis and then they were outclassed by Boston on Monday by a score of 87-105. Lance Stephenson, Jeff Taylor and Cody Zeller are doubts for the Hornets while Philadelphia are keeping an eye on KJ McDaniels and Furkan Aldemir. With a handicap of -4.5, the Hornets look to be interesting value at odds of 1.90 for this game. Bet Now! The Jazz are toiling with a 7-19 record which includes a 3-10 record away from home while the Magic hold a 10-18 record, which includes a 3-6 record at home. The Jazz won their last game while the Magic have lost their last two games. The Jazz have a 2-3 record in their last five games while the Magic have a 1-4 record, so this is not a game between two teams that are high on confidence. The Magic have been on the road an awful lot this campaign, and after losses in Toronto in Monday and their 109-92 loss in Boston in Wednesday, Orlando will be home to the team until after Christmas, which is something the team is hoping to capitalise on. The Jazz had lost out in 12 of their last 13 games until Wednesday night, when they triumphed against the Heat. The Jazz have no real injury worries while the Magic are fretting over Aaron Gordon while they are keeping a close eye on Evan Fournier. 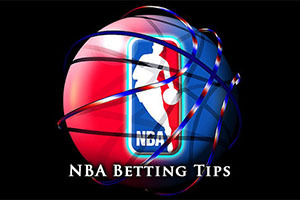 Taking the Jazz at odds of 1.90 with a +3 handicap should be more than enough to keep you entertained on Friday night. Bet Now! The Raptors hold a 20-6 record so far this season, with a 7-3 record away from Toronto. The Pistons hold a 5-12 record, which includes a 2-12 record at home. The Raptors are on a four gaming winning streak while the Pistons have lost their last two games. The Raptors have a 4-1 record in their last five games while the Pistons hold a 2-3 record for the same time frame. In their 105-89 win against Brooklyn on Wednesday, Kyle Lowry grabbed 20 points and 122 assists for the Raptors and Jonas Valanciunas provided 16 points and 10 rebounds, helping the Raptors to 20 wins in the least amount of games in their history. The Pistons also have a run of note, although this is a bad one, with their 106-117 loss to Dallas on Wednesday being the team’s 11th home defeat in a row. This is their worst run of home form since 196667 when they managed to lose 15 games in a row. Neither team has any notable injuries for this game and you would think that the Toronto Raptors will grab another win in this game. Taking the Raptors at -7.5 at odds of 1.90 is likely to be a great bet for Friday. Bet Now!